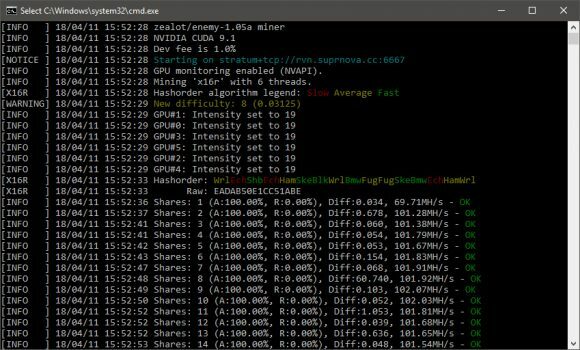 You have probably noticed that there are a lot of miners lately for the Ravencoin (RVN) X16r mining algorithm and it is hard to keep a track of them all and also to compare the difference in performance because of the rotating algorithms. With Enemy’s closed source fork of ccminer being one of the fastest out there, though there are already a lot of open source alternatives available that we have already covered. There is however a new miner from Enemy – z-enemy-1.05a, that is no longer forked from ccminer, though it is still closed source, it is worth checking out if you are fine whit closed source miners. 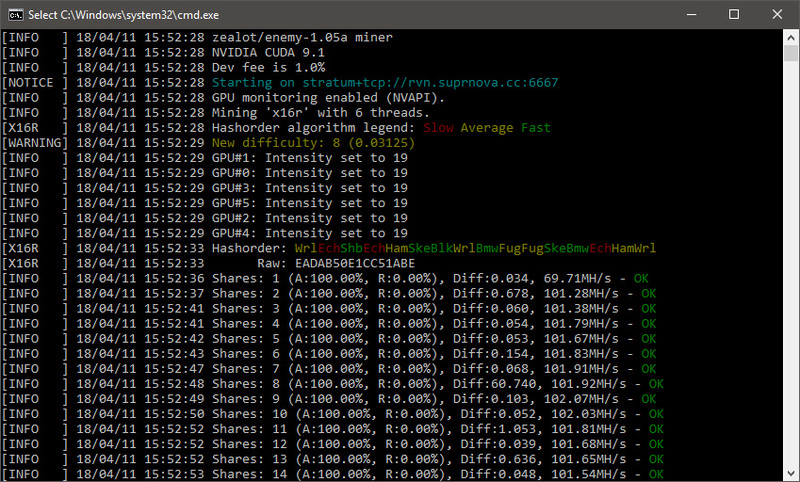 The new zealot/enemy 1.05a miner for Ravencoin (RVN) currently supports only the X16r mining algorithm and has a developer fee of 1% built-in, it is available for both Windows and Linux operating systems. Te latest Enemy 1.03a and 1.04a versions are based off ccminer and they do have built-in support for the X16S mining algorithms as well, so you might want to use these for Pigeoncoin (PGN) mining if you are interested. Below you can find the latest official miners and download links for the different Enemy miners for Ravencoin (RVN) with the changes they bring as posted by Enemy. Do note that all of these miners are for Nvidia GPU mining rigs only and are based on CUDA, they will not work on AMD OpenCL hardware. – Enemy 1-03a Fixed bug shavite skip block – native, +x16s, no imp. – Cuda 8.0 Linux (z-enemy-1.05a) Fix pool + min imp. – Cuda 9.1 Linux (z-enemy-1.05a) Fix pool switch + min imp.